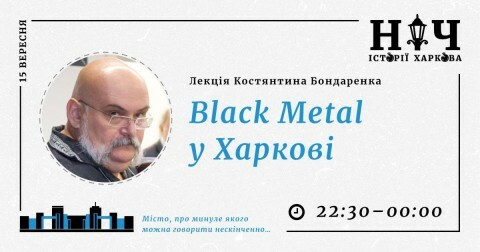 The programme of the upcoming 8th event "Kharkiv History Night" will feature a lecture "Black Metal in Kharkiv" by the Ukrainian architect and designer Konstantin Bondarenko. From the organizers’ post [translated from Ukrainian by Noizr]: "What will be this lecture about? Well, of course, it’ll be about music, about one of its forms, which is, perhaps, the notorious and highly dubious. Why did this topic appear? Because it so happened that the Kharkiv’s black metal scene is considered the most influential in the Eastern Europe. A number of festivals that took place at the turn of the century in our city, as well as a new festival "MetalEast" confirm this status." 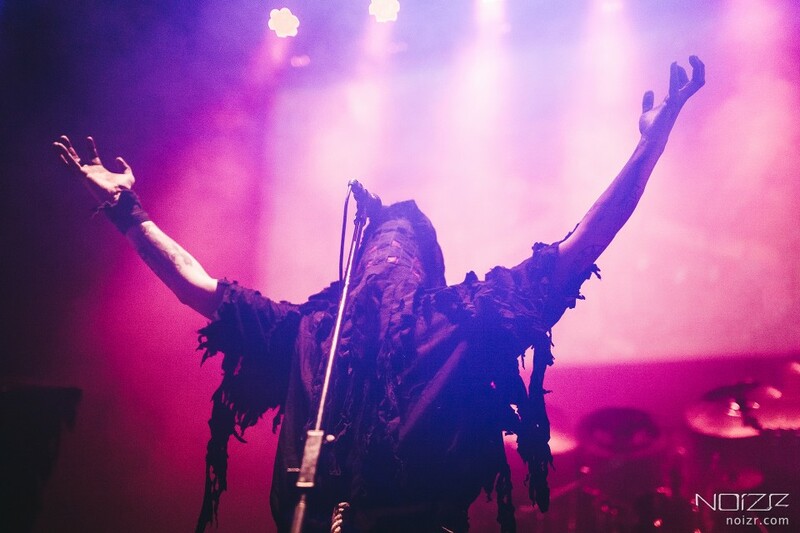 "I can not promise to tell the whole story of Kharkiv’s black metal, but it makes sense to reveal the nature of this phenomenon, because the story lives next door. Love Kharkiv, it's just the beginning!" "Kharkiv History Night" will be held from 15 to 16 September in the Kharkiv Philharmonic Society. In addition to Bondarenko's speech, 11 lectures by different cultural figures are planned for the forthcoming event. Details here nochistorii.kh.ua.